Blue Harbour Health Club and Spa at The Chelsea Harbour Hotel overlooks Chelsea Marina in one of London’s most exclusive locations. The spa has a 17-metre pool with swan neck waterfalls and body jets, sauna, steam room, state of the art gymnasium and relaxation suite. 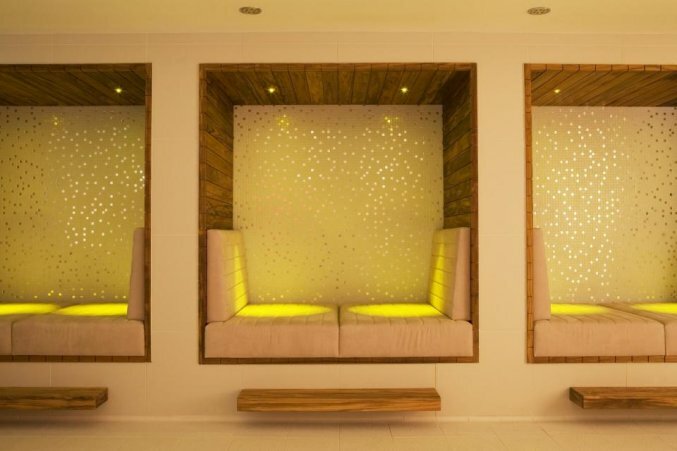 There is also a nail bar and hair salon which sit alongside six treatment rooms (including one for disabled customers) and offer a wide range of treatments using products by Russie Blanche and MONU VITRU for their massages, envelopments, exfoliations and facials designed to relieve the stresses and strains of the city buzz. The location of the hotel is ideal for exploring some of the most beautiful parts of London including the King’s Road – home of Vivienne Westwood’s original World’s End shop and famed for its 1960s fashion credentials. Overlooking the harbour, the contemporary building is chic and sophisticated and each of the 154 one bedroom suites boast a view as well as luxuriously spacious living areas – a particularly precious commodity in the city centre. There are four penthouses that provide some of the best panoramic views in London from their spacious roof terraces. The Chelsea Riverside Brasserie serves an Italian inspired menu, boasting a wide range of choices including antipasti, pesce, pasta, and carne dishes in a cool and contemporary setting. The menu is a la carte, and there is the option to enjoy an al fresco breakfast, a light lunch, or dinner under the stars (accompanied by terrace heating). The Harbour Bar provides a wide variety of refreshments, including light snacks and afternoon tea, and in the evening soak up the majestic views across the marina whilst sipping a refreshing cocktail on the terrace.